I travelled to Swansea on the 3rd of February with a wonderful blogging buddy to attend my first Swansea Blogger Collective at the beautiful listed building filled with equally beautiful books that is Swansea Waterstones, where we shared bookish love, blog tips and were gifted some truly amazing reads which I can’t wait to share with you! Also, shout out to Swansea Twitter Guy who is as great as his tweets suggest! 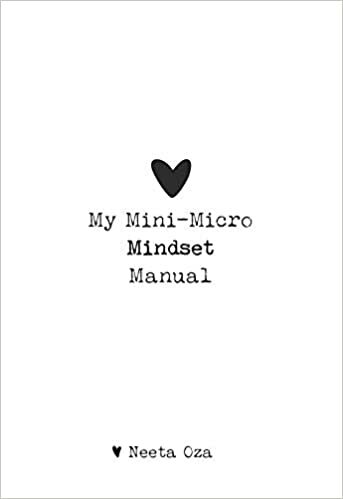 One of the gifted reads was from Hashtag Press in the form of the cute ‘My Mini – Micro Mindset Manual’ that was written by qualified yoga instructor, Neeta Oza. Don’t just take my word for it though, I am so privileged to have had the opportunity to connect Neeta, who is super lovely by the way, and she’s agreed to be interviewed. How exciting! Thank you Neeta for agreeing to answer some questions concerning your new release ‘My Mini – Micro Mindset Manual’ that was published by Hashtag Press on the 31st of January 2019 in paperback. I think myself and the readers would love to know where the concept of MMMMM came from and why do you think that this is an important weapon in overcoming negative mental health? I highly recommend purchasing a copy of this positive micro read, read one lettered affirmation a day and then see how it affects your mindset in a positive way. Neeta is super friendly and interacting on social media, any questions you have I am sure she would be more than happy to answer! Neeta also has a wonderful blog, I’ve included the link below! 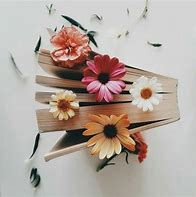 Also, why not pop along to Swansea Waterstones on the7th of April at 1pm to meet Neeta and listen to her read from My Mini – Micro Mindset Manual? Thank – you for reading this review / Q & A, have you ordered or read MMMMM already? What were your thoughts? I’d love to know! Previous Then There Were Five…..